American hip-hop and indie artist K.Flay is no stranger to us here at TGTF. Back in 2011, before she was better known, she performed on a bill at a TGTF-sponsored stage at The Great Escape 2011, alongside White Denim and a then unknown in the UK Foster the People. How times have changed! She released her latest EP, ‘Crush Me’, in August, and now she’s also shared the video for the lead track from the EP. 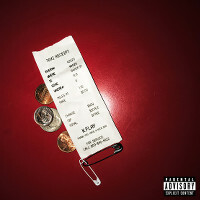 ‘Blood in the Cut’ has an industrial bent in the instrumentation, but K.Flay’s cutting lyrics (no pun intended) are, as usual, the star of the show. Check out the video for ‘Blood in the Cut’ below. ‘Crush Me’ from K.Flay is available now from Interscope / Polydor Records. Coalition over the past two days played host to a number of different acts, heavy metallers Black Lungs rocked the roof of the venue, and Frank Turner provided the singalongs. But wasn’t there something missing? Maybe some Bhangra influenced dubstep perhaps? That’s exactly what Sali brought to the equation on Saturday opening TGTF’s stage at Brighton Coalition on the seaside. Sali hit the underground rave scene with their (now questionable?) collaboration with M.I.A. and they brought a certain intriguing quality with them when they played in Brighton. I can’t lie and say it’s my thing – it’s not – but on sheer inventiveness and creativity in their performance they have to be applauded. Sounds that freaky are hard to come by and in a way, I found myself enjoying them to an extent. Who says dubstep isn’t the future of music? K. Flay had already created enough of a buzz to be coming on at 8 o’clock and to have drawn an almost full venue. Alone she stood as the eyes of all the A and R’s and PR people in the room bared down on her as she tore into a short but seriously sweet set, dripping with hooks and lyrics icy enough to give global warming a run for its money. She bounced around the stage with as much energy as you would expect from an entire band and the crowd responded with the first real reaction of the night. In a way, she reminded me of a less commercialised Katy B. But such comparisons are weak, K. Flay relied on her lyrical perfection to really captivate the capacity crowd at the TGTF stage. Big things are in the future for this girl, that’s one thing we can be sure of. The queue had grown since K. Flay left the TGTF stage at Coalition, so it was obvious that there was something seriously sought after about to emerge onto the stage. That came in the shape of American three-piece Foster the People who brought with them to the seaside venue a picnic basket full of catchy summer tunes. The best of these was, without a doubt, the slow building ‘Pumped up Kicks’ which rolled across the Brighton beach comfortably. Their sound was exactly what everyone needed after the frantic set from K.Flay to relax everyone and get everybody singing along to these delightfully subtle, warm weather tunes. South by Southwest last year announced them as the best new act at last year’s festival. So the fuss about White Denim was arguably the most that was created over the 3-day event. Coalition was to capacity and people were struggling to get to the front of the crowd even before the band had come on. Who can blame them? These guys came to the TGTF stage and did exactly what they do best: rock as hard and as fast as they can for their entire set. Tunes like ‘All You Really Have to Do / Mess Your Hair Up’ and ‘I Start to Run’ pinpointed the chaotic nature of White Denim’s amazing songs. The crowd were worked into a frenzy as headbangers, bloggers (myself included) and anyone else around fought their way to the front to get a glimpse of their “new favourite band”. At the moment, White Denim are a band doing the right thing, the right way. If they keep the momentum they have gained in the last year and carry it on, there’s no telling how far these boys from Texas can do. TGTF would like to take this opportunity to thank the Great Escape and Mean Fiddler for the opportunity to host this stage, and also the folks that represent K. Flay and White Denim for providing us merchandise to give away to fans like you. If you picked up one of our badges and are currently displaying it proudly on the bag of your choice, you can thank our writer Shari Fedak; she designed them. And of course, if you stopped by Coalition Saturday night for some good tunes – cheers. We hope to be out in Brighton for the festival this time next year!